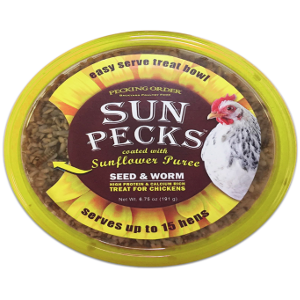 Sun Pecks™ from Pecking Order are the only treat for chickens coated in a delicious sunflower puree! 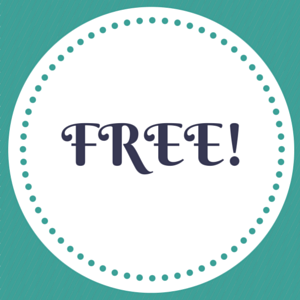 Sun Pecks™ are a protein and calcium rich treat that come in an easy serve treat bowl with resealable lid. The convenience of having treats in an easy serve treat bowl means Sun Pecks™ can be served to your flock in a variety of ways but the most fun way is to hold the bowl and watch your hens peck right out of it! Kids (and some adults too) are less intimidated by chickens eating from a bowl their holding then from chickens pecking directly out of their hands so the easy serve treat bowl makes treat time more fun for everyone! Once you feel your flock has enjoyed enough treats for the day, simply snap the lid back on till you're ready to excite your flock again with more delicious Sun Pecks™. Our sunflower puree is made from all natural sunflower kernels and is rich in vitamin E and protein. The sunflower puree coating helps to hold Sun Pecks™ together inside the bowl which helps to reduce spills and overserving. The delicious aroma of our sunflower puree makes Sun Pecks™ almost irresistable but resist temptation and let your chickens do the pecking! One bowl of Sun Pecks™ serves up to 15 hens.